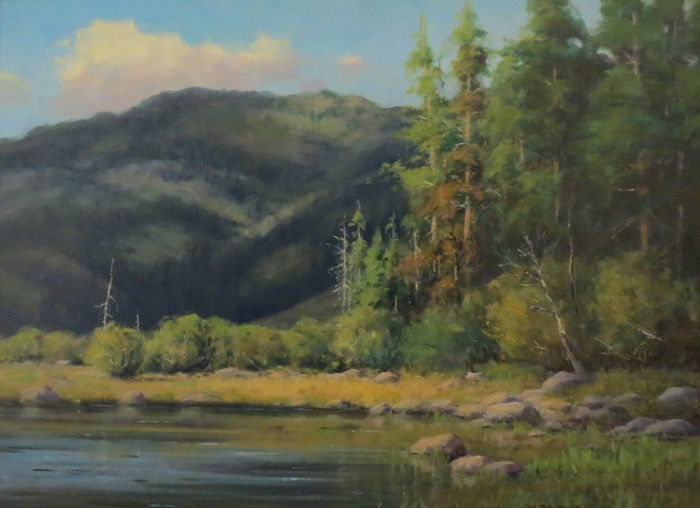 A watercolorist for over 12 years, Don L. Parks has concentrated on oils since 1985. 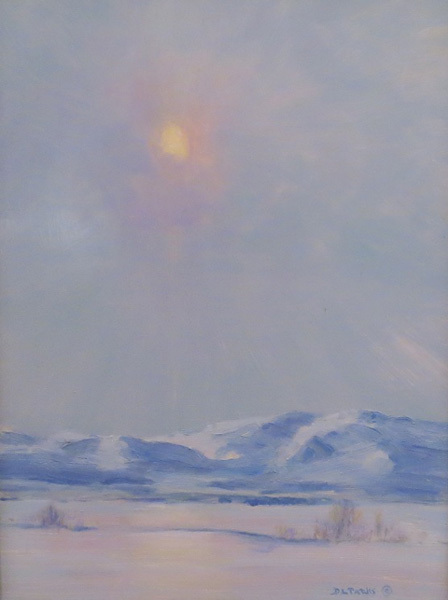 He believes that he should have personally experienced what he paints, thus, many of his subjects exist in rural America. His observations of the Southwest started while growing up on a farm- “tractor time was a good opportunity to study nature.” After military service, he worked as a farm and ranch management specialist for Texas A&M University which was another opportunity to observe and appreciate rural America. He believes these experiences have had a major impact on his painting; the “feel” of the subject matter is there. Parks paints in an impressionistic style using a quick simple execution. Frequently, paintings are done on location where he believes an artist learns to see true color. He has hundreds of studies done on location which are invaluable reference material for larger canvases. He has painted on location from Catalina Island to Nantucket and from Alaska to Texas. His observations produce art that allows others to enjoy glimpses of our world. Parks has annual shows at Midland’s “Celebration of the Arts” and the Haley Historical Library. He has studied under Ted Goeschner, Frank Mason, Ovanes Berberian, Scott Christensen, Matt Smith and Clyde Aspevig. He has won awards in numerous regional shows and has been included in the Top 200 in the Arts for the Parks competition. Parks was chosen as the Distinguished Artist for the 1996 Celebration of the Arts in Midland, Texas.